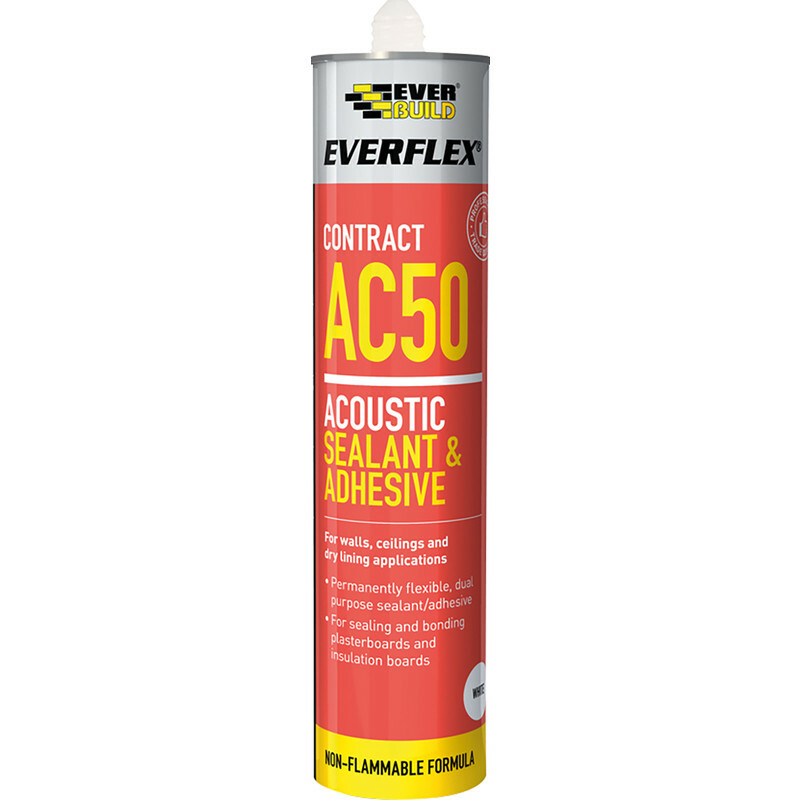 A high strength, permanently flexible sealant and adhesive specifically formulated for sealing and bonding plasterboard. Requires 900ml sealant gun 74611 . AC50 Trade Acoustic Sealant & Adhesive 900ml is rated 4.5 out of 5 by 4. Rated 4 out of 5 by Mardy1878 from Easy to Use Sound proofed some alcoves, instructions recommended this for around the boards fitted. It stays pliable for days, then seems to go to a kind of elastic texture. Make sure you have the larger size silicone gun. Doesn't go as far as you'd think, I'd say about 1 tube per 2 boards. Rated 4 out of 5 by Andy Norfolk from Great product A very good flexible adhesive which l tend to use on all plaster boarding jobs not just with acoustic plaster board, bonds the board edges well. Very cost effective when buying the 900ml size. Only downside I found with the larger size is that the sealant keeps flowing for quite some time despite repeatedly releasing the trigger, annoyingly messy & wasteful. Rated 5 out of 5 by Rich 1969 from Reliable I’ve used this several times now, great for sticking plaster board. Stays workable long enough, without the need to constantly clamp.